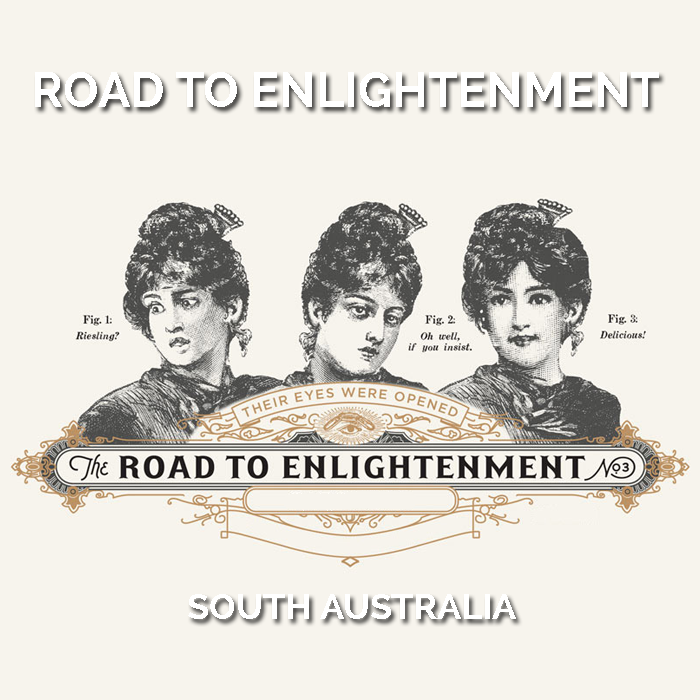 Summary: Road to Enlightenment is a range of regional and varietally expressive wines seeking to be full flavoured, full of character and exceptionally drinkable. 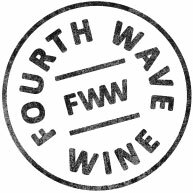 Wines of the past that were too overt in fruit, oak or weight is were we began, the balanced, fresh and vibrant wines of Road to Enlightenment is where we are headed. Vineyards: Sourced from a combination of older and younger vines in the heart of the Clare Valley, just off the Horrocks Highway to the north of Armagh. Winemaking: Harvested at optimum ripeness and delivered cool to the winery in under two hours from picking. The wine was pressed and transferred to stainless steel for fermentation and short maturation prior to bottling to ensure freshness and vibrancy. Tasting Note: A tight nose that given time shows lemon peel, lime and subtle pepper and white floral notes. 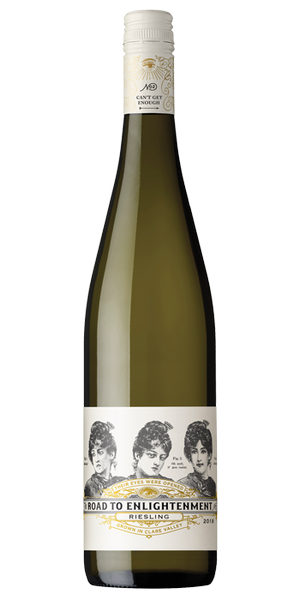 This is a typically fine yet flavoursome Clare Valley Riesling that is delicious now and will be for the next 3-4 years will careful cellaring.